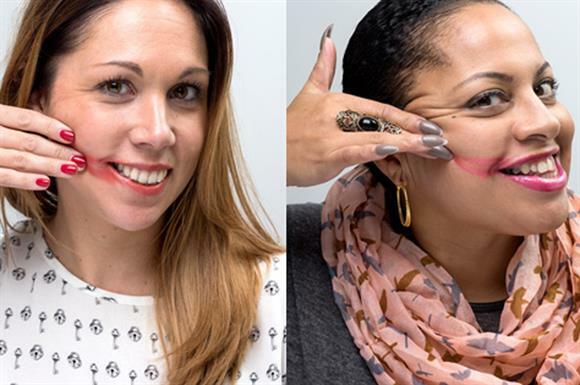 To mark Cervical Cancer Awareness Week, Jo’s Cervical Cancer Trust is asking women to post pictures of themselves wearing smeared lipstick on social media using the hashtag #smearforsmear, then nominate others to do the same. The idea is that this will remind their friends and relatives to book smear tests, the cervical cancer screening that all women aged over 25 are invited to attend every three to five years. Participants can donate £3 by text if they choose, but the emphasis is on raising awareness. According to the charity, data from the Office for National Statistics shows that one in three women aged between 25 and 29 fails to attend cervical cancer screening when invited, despite the fact that the incidence of the disease among this age group has increased by more than 50 per cent in the past 10 years. The charity’s own research has revealed a lack of knowledge about smear tests among younger women. Of more than 1,000 women aged between 25 and 29 who were polled, one in 10 thought it was a test for sexually transmitted infections and 13 per cent thought it was a test for ovarian cancer. Almost half said that they never openly discussed smear tests with their friends or family. How has the campaign performed so far? By the second day, it had reached 44 million people through Twitter, Instagram and Facebook, and almost 2,000 images had been posted on Instagram alone within the first five days. The campaign received a boost when the model Georgia Jagger and the singer Rita Ora posted selfies, and has since gained coverage in the Daily Mail, the Daily Mirror and The Independent, as well as the women’s magazine Glamour, which called it "the new ice bucket challenge". Selfies have been posted from as far afield as Italy, France, Poland, the US, Australia and Spain, where it has also been covered in the media. Robert Music, chief executive of Jo’s Cervical Cancer Trust, says: "Every day we see the devastating impact a cervical cancer diagnosis can have on both a woman and her loved ones. But it is tragic to know that for those who delayed their screening before diagnosis this could have been prevented. "It’s now time that we see an upward shift in awareness of cervical cancer and an understanding of the importance of smear tests." After the no make-up selfie campaign, which raised more than £8m for Cancer Research UK last year, many charities attempted to launch their own selfie campaigns with varying levels of success. This was particularly true of smaller charities, which saw it as a virtually cost-free way to raise awareness and money, but perhaps did not fully appreciate the difficulty of making a campaign go viral on social media (the no make-up selfie was invented by the public, rather than a charity communications department). However, by allowing the dust to settle before launching #smearforsmear and by coming up with a concept that is genuinely relevant to the cause and to the campaign’s young, female target audience, Jo’s Cervical Cancer Trust has managed to make it work.